The lime rickey is a refreshingly tart combination of fresh lime juice, simple syrup, and seltzer. It's easy to make and is a great "virgin" drink for teetotalers. 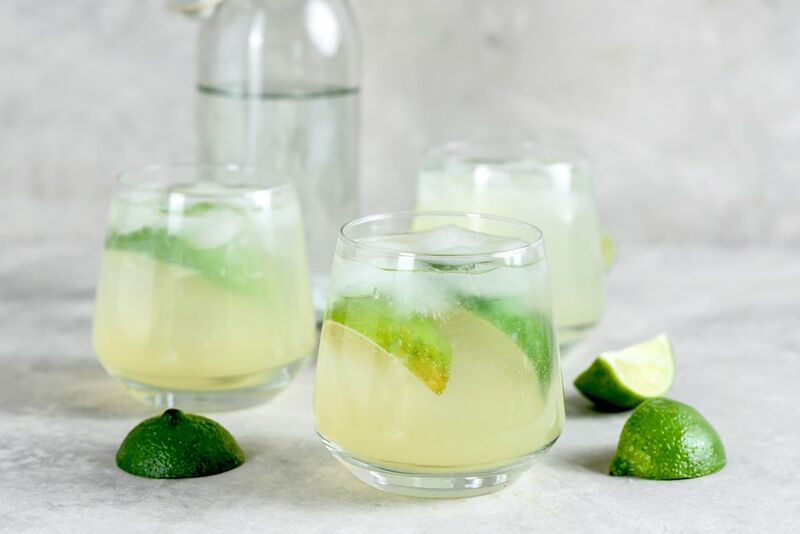 The best lime rickey will come from fresh-squeezed lime juice and it is the perfect use for your citrus juicer. The other key is to make your own simple syrup and if you have sugar and water, then you're just ten minutes away from this simple ingredient. While this recipe will make about four 6-ounce drinks, it is very easy to double or triple to create more. You can even downsize it and make a single glass for yourself on a hot summer afternoon. In a pitcher or ​a measuring cup with a spout, mix the lime juice and simple syrup. Fill four glasses with ice. Divide the sweetened lime juice mixture between the glasses (about 3 ounces each). Fill the rest of the glass with seltzer (about 3 ounces). Stir with a swizzle stick or a long spoon. Crack a fresh bottle of seltzer to ensure your drink has maximum carbonation. Switch to another clear soda if you like. Ginger ale, lemon-lime soda, and tonic water each add a different flair to the Lime Rickey. If you regularly make single drinks, buy small bottles of soda so you avoid flat or wasted soda. Stock up on lime syrup or make a lime cordial.